Because one of my roles is as a lactation consultant, October is an important month to me. August is too, as it is National Breastfeeding Month. My thoughts this month have been on how can we each as individuals support such a large cause. We know that early detection, education, and support are SO important! 1. Hug a breast cancer survivor! Love and kindness can go so far! 2. Donate to breast cancer research funds. You can do research on which fund you feel most comfortable donating to. 3. 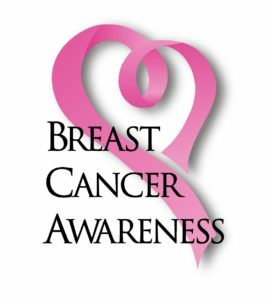 Learn more about breast cancer prevention and treatments. The Nation Institute of Health – National Cancer Institute and the National Breast Cancer Foundation are two places to start. 4. Prevention is key! Monthly breast self exams and mammograms every 1-2 years after age 40 are important for early detection of breast cancer. 5. Encourage mothers-to-be to breastfeed. Research shows that breastfeeding is a great way to lower the risk of breast cancer. 6. Give support to RNs, NPs, MDs and Lactation Consultants (IBCLC) who teach breastfeeding to new mothers and breast self exams to girls and women. In my role as a RN/IBCLC I often use a demonstration breast I crocheted when teaching breastfeeding classes or individually to assist a new mother learning to breastfeed her new little one. Crochet one or purchase a finished demonstration breast for your favorite health care professional. And you thought that crochet and breast cancer awareness had nothing in common!